While you wait, check out today's limited time offer! Every Junior Scientist Has to Try! Yes! I Want This Science & STEM Activities Pack for only $7! Do You Want to Bring More Science & STEM into Your Classroom or Groups but Have Limited Time and a Limited Budget? Science & STEM activities can be so rewarding for our young learners. You need activities that are age-appropriate and packed with hands-on learning to fit your busy schedule. Your junior scientists have so much to learn from simple science & STEM activities. What of I told you there were tons of quick, cheap, and fun science & STEM activities you can really do with the time and budget you have? Hi! 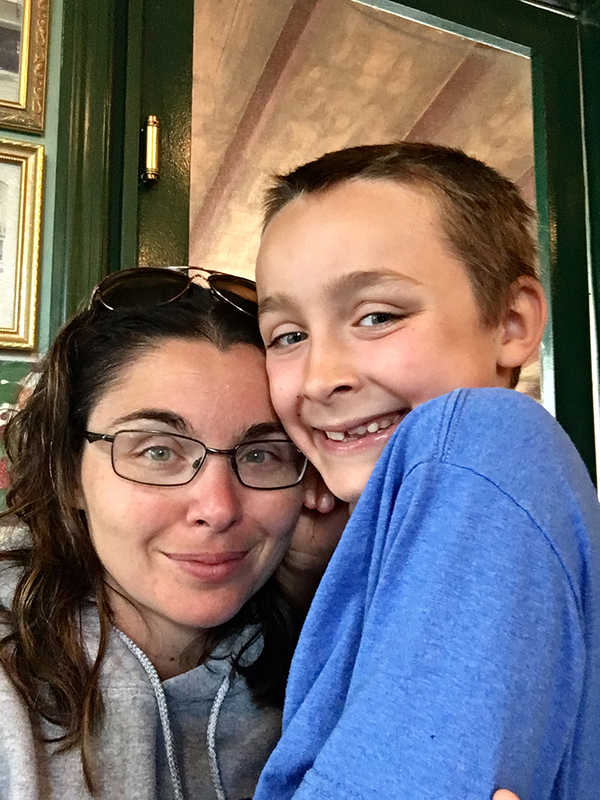 My name is Sarah and this is my son Liam. We LOVE playing around with science and STEM at home. 5 years ago I shared a simple baking soda and vinegar science activity with him. Since then, we've been hooked! Together we have enjoyed 100s of science experiments that are low cost, easy to set up, and just plain FUN! My goal is always to provide the BEST science activities and STEM projects that fit your time and budget! We hope you enjoy the materials we have put together for you today! Want to see what's inside the pack? Take a peek! 10 Easter science activities with journal pages, supply lists, set up and process, and science information. Easy to set up, fun, and fit into the time you have available even if it's limited! 10+ Printable Easter STEM challenges that are simple but engaging for home or classroom. Perfect for K-2 and beyond and adaptable to many skill levels. Engaging Easter theme activities include jelly bean structure building cards, math activities, and screen-free coding activities. Also included, Egg Drop Challenge pack and The Great Egg STEM Challenge perfect for designing and engineering with classic STEM activities! Extras include Easter theme I-Spy pages, thaumatrope STEAM activity for early finishers! 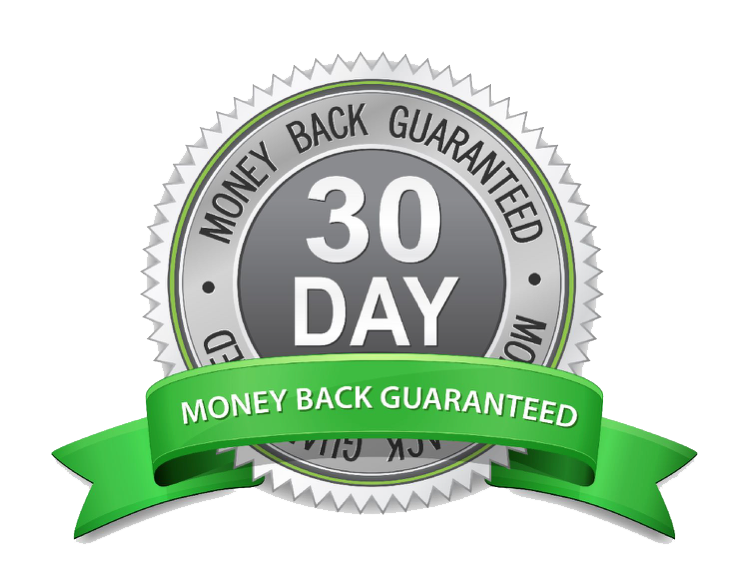 And if for any reason you aren't 100% satisfied with the Winter Science and STEM Projects pack, then you're covered by my 30 days 100% money back guarantee. So when you order today... you essentially get to see and try out everything for free if you choose. You do NOT even have to give me a reason if you decide to return. I will trust you to do the right thing. 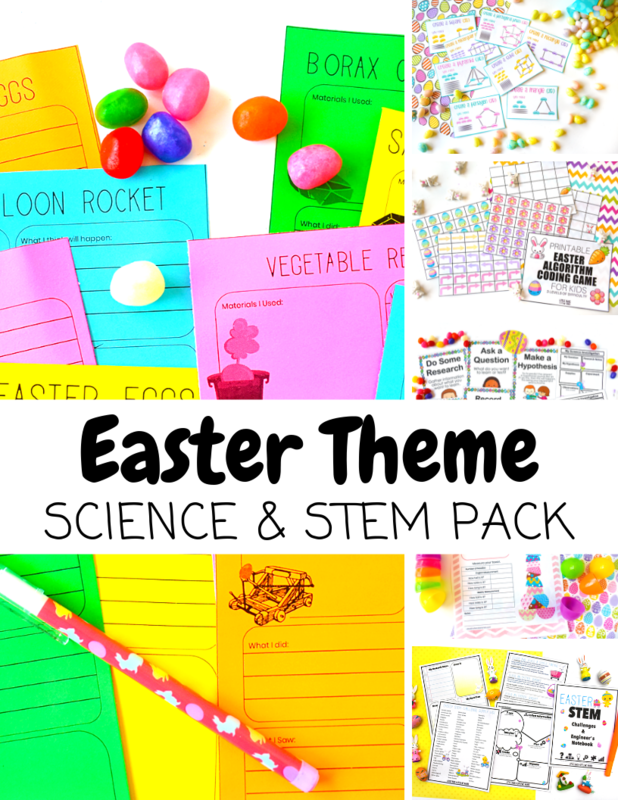 Get The Easter Science & STEM Projects Pack Today!